America the Beautiful coins are popular with investors and collectors for their silver content, as well as their stunning designs that highlight American landmarks from across the country. The 13th coin in the series honors Acadia National Park in the far-northeastern state of Maine. 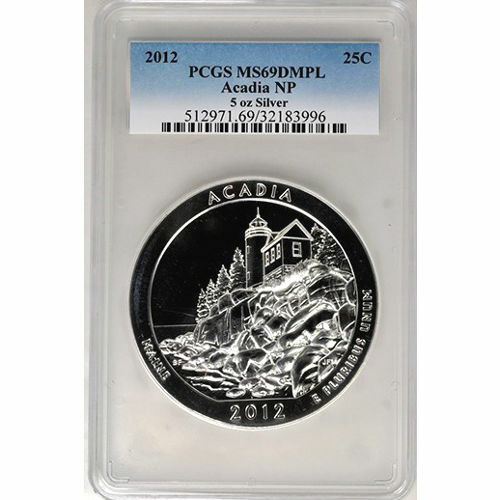 Right now, you can purchase a 2012 5 oz Acadia ATB Silver Coin from Silver.com. There are just 830 coins available in this grade and condition! Face value of $0.25 (USD) is backed by the United States government. Graded a near-perfect coin by the Professional Coin Grading Service. Features a deeply-mirrored, proof-like finish. Packaged in PCGS plastic slab for protection. Acadia National Park was the first of its kind established east of the Mississippi River in the United States. Established as a park on July 8, 1916, the park consists of diverse environments that include Mount Desert Island, rugged coastlines, and Cadillac Mountain, which is the highest point on the Atlantic Coast. 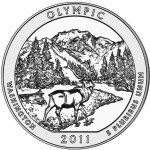 America the Beautiful is a 56-coin series honoring national parks, forests, monuments, and cultural landmarks. The series features five new coin designs each year, and will eventually represent all 50 states, five territories, and the federal district of the United States. The obverse side of each coin bears the image of President George Washington. The nation’s first president is featured in left-profile relief, and his image is based upon a 1786 sculpture created by William Cousins. On the reverse you’ll see Bass Harbor Head Lighthouse along Maine’s rugged coastline. Engravings include “Maine,” “Acadia,” “E Pluribus Unum,” and the year of minting. Each of the 2012 5 oz Acadia ATB Silver coins in this Silver.com product listing features a deeply-mirrored, proof-like finish and a near-perfect grade from the PCGS. Bullion coins in this condition have great visual appeal, their full, original luster, and no more than two minor detracting flaws. If you have any questions about these United States Mint products, feel free to contact a Silver.com associate. We’re available on the phone at 888-989-7223, online through our live chat service, and via email. 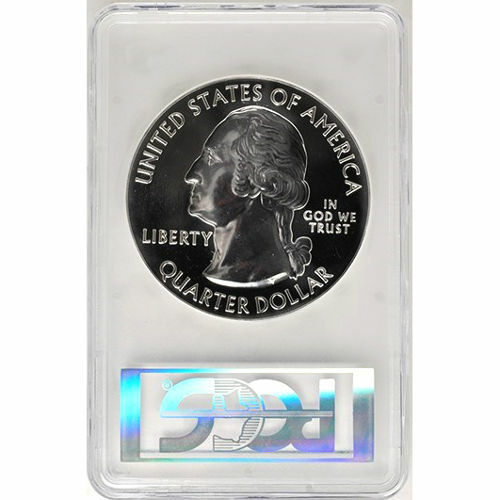 Visit our Certified Silver Coins page to view similar products.